This Sunday school lesson is designed for preschool and elementary students and can be taught in about 45 minutes. It teaches children about the importance of obeying God, and the consequences for disobedience. The Bible lesson builds on prior knowledge gained from other lessons about obedience like the Abraham Bible story, or the story of Moses. It includes ideas for dramatizing the story, a memory verse, and guided discussion questions for life application. 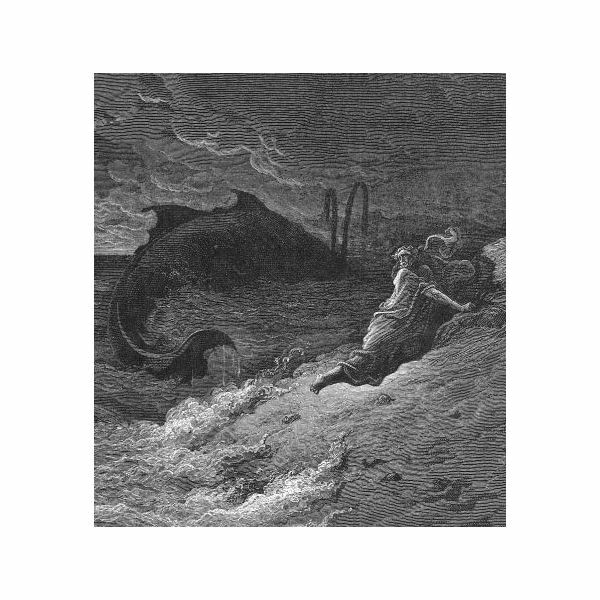 The story of Jonah can be found in the Bible in the book of Jonah. The main part of the story is covered in these chapters and verses: Jonah 1:1-17, 2:1-10, and 3:1-10. Here is an online version of the story geared toward preschoolers. Read aloud or play on the computer for the children; as an additional bonus, the online version is translated in Spanish and Amharic for multicultural students. Here are some suggested ways to dramatize the Jonah-whale story to help the students with visualization and conceptual understanding. Use a sound machine or play sound effects of thunder and lightning to simulate a storm. Use a blanket on the floor as an imaginary boat, and let the children pretend to be in the storm with Jonah. Turn some or all of the lights out during the storm and again when Jonah is inside the fish. Invite the children to shut their eyes, and imagine what it would be like inside a big fish. These are just a few of the many ways to add a multi-sensory learning aspect to this Bible story. Other ideas would be to use stick puppets, a plush toy fish as a teaching prop, or let the children act out the story. What did God tell Jonah to do? How did the sailors know Jonah was running away from God? How long was he inside the big fish? What did Jonah do while he was inside the fish? When God told Jonah the second time to go to Nineveh, what did Jonah do? These questions can be woven into the natural flow of the story or asked at the end of the story telling to assess comprehension. From inside the fish Jonah prayed/to the Lord his God, Lord his God./He said in my distress,/I called to the Lord,/He answered me,/He answered me. Here are some other ideas for Bible texts useful for preparing preschool lessons on the topic of running away from God. One or all of these stories is a great way to extend the lesson and provide additional learning opportunities to teach preschoolers God always knows where we are and what we are doing. These Sunday School preschool lessons about hiding from God teach about obedience and forgiveness. Even when we disobey God, He forgives us and gives us another opportunity to obey. Jonah 2:1-2, scripture taken from the HOLY BIBLE, King James Version, Copyright 1973, 1978, 1984 by International Bible Society. Used by permission of Zondervan. All rights reserved.